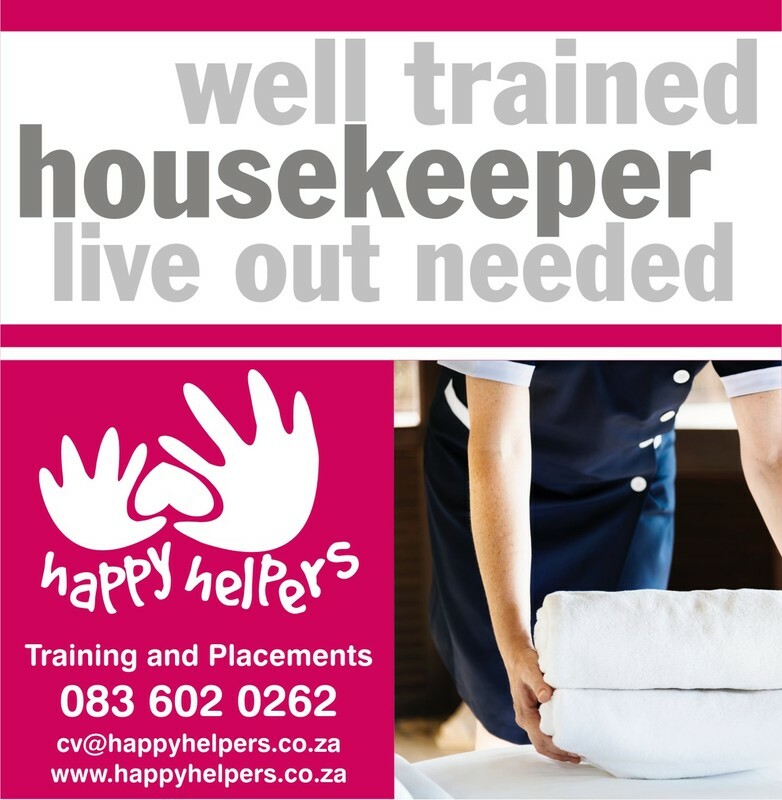 We run all our advertisement on our Happy Helpers Placements & Training Facebook page - please visit out page to see which positions we are working on and also the dates that we are running our training. 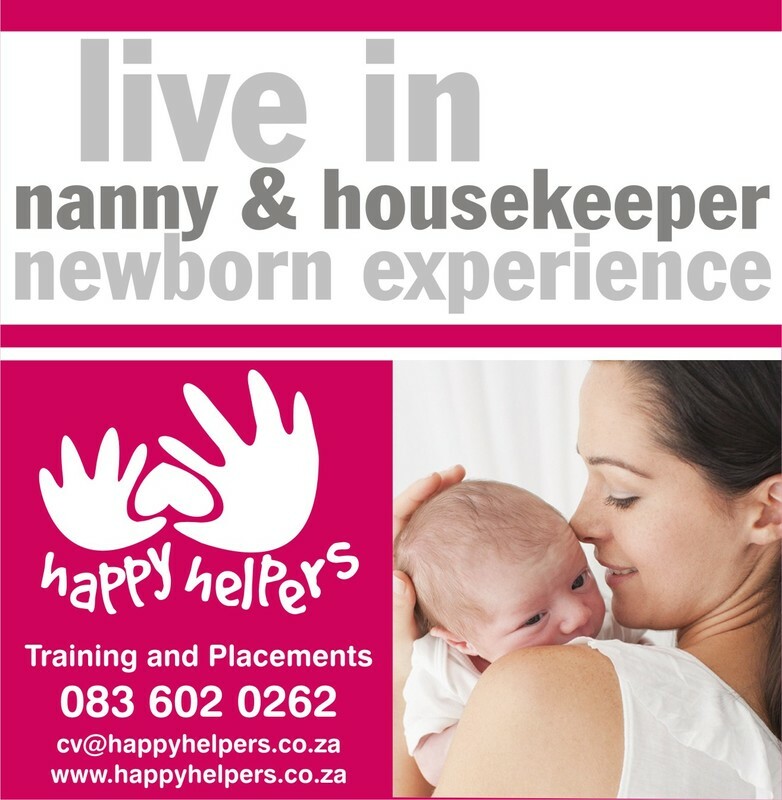 We are currently looking for Nannies and Housekeepers, who live in Cape Town to fill these positions, and others that we are working on. 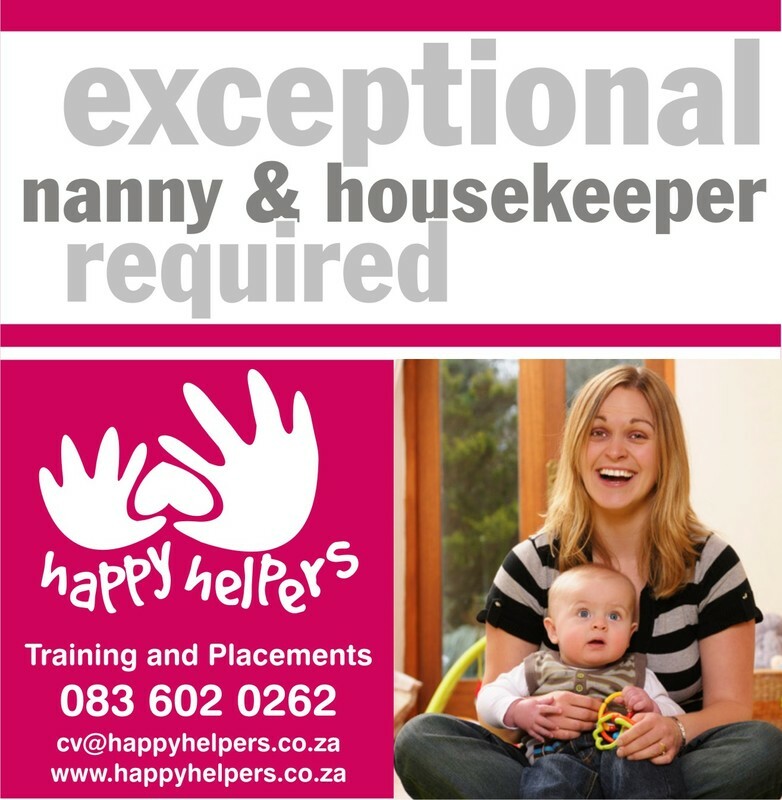 You will need 4 - 8 years full time working experience as a Nanny and Housekeeper in a private home in South Africa. Please submit your detailed CV with your full work history. You will have 2 - 3 written references from previous employers. Your ID or your passport and valid work visas. If you have completed any training, then please submit your certificates with your application. If you have any other documents you feel will motivate your application, please supply these as part of your application. Happy Helpers looks forward to hearing from you.